JUNK HAULING service from Green Clean Junk Removal Syracuse, NY is known not only for effectiveness, but also for reliability. We offer same day and fast on time service. Our junk hauling professionals are truly committed to providing you with the most convenient service in the area. With free estimates and emergency services also available for all of our junk haul requests, you won’t find customer service like ours anywhere else in Syracuse, NY. Green Clean Junk Removal Syracuse, NY! Green Clean Junk Removal Syracuse, NY is your one stop resource for all your junk and hauling needs. No project is too big or too small from a simple old couch pick up to a huge disaster clean up. We are here for you. Syracuse, New York is the 5th largest city in New York State and the hub of Central New York’s economy. Syracuse is the home of Syracuse University, a major academic and research center. Syracuse has its own convention center complex and the Empire Expo Center directly west of Syracuse. Green Clean Junk Removal services in Syracuse services both the city’s businesses and individuals. Green Clean junk removal services in Syracuse offers household junk removal services for homeowners, renters, and landlords. Green Clean Junk Removal service professionals come to your home and get rid of junk that has been cluttering your life. Green Clean junk removal services also offer garage clean out services. Garages become a storage unit for household junk. Green Clean Junk Removal Service’s garage clean out service in Syracuse eliminates garage junk and trash. Green Clean Junk removal specialists can also dispose of old household paints and household chemicals. Green Clean Junk Removal services in Syracuse also have apartment clean services for landlords and apartment management companies. Syracuse’s high student population means that apartments are frequently being vacated and re-rented. Green Clean Junk Removal uses specially trained professionals to clean out apartments after a tenant has moved out. Using Green Clean junk removal services to clean up after messy tenants saves you the time spent cleaning and reduces the turn around time for your apartment. Green Clean Junk Removal services also keeps Syracuse’s businesses rolling along. Green Clean Junk Removal services provide construction debris hauling and construction debris removal for Syracuse’s general contractors, homebuilders, and anyone that needs their construction debris hauled away. Green Clean Junk Removal services in Syracuse also provide office clean out and breakdown services for businesses that are moving, expanding, or shutting down a particular location. 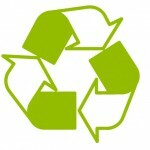 Green Clean Junk Removal services also offer event trash pick up for corporate events and parties.